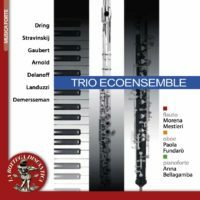 Ecoensemble Trio is one of the few European instrumental ensembles entirely dedicated to the study and interpretation of the flute, oboe and piano repertoire. 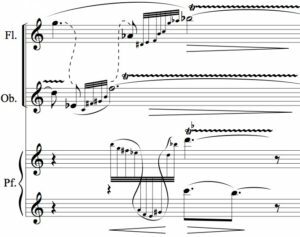 The group pays particular attention to the research and study of the repertoire of original compositions for these instruments that established itself during the Twentieth Century when composers began to widen their research for original sonorities. Besides the original repertoire there exist a significant number of transcriptions of classical and modern pieces for this instrumental group and also brilliant and virtuosic fantasias on operas and orchestral works. 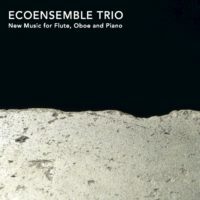 Ecoensemble Trio has been working for many years and it released CD entirely composed of original works for flute, oboe and piano, all of them rarely performed and some recorded for the first time. 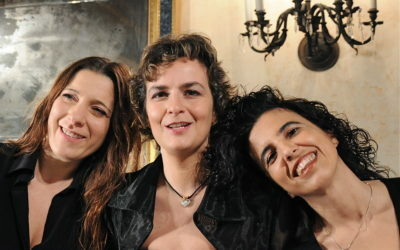 Critics specialized in this field have welcomed the CD and have particularly appreciated not only the Trio’s thorough research of material and fidelity to the original scores, but also the brilliance of the performance. 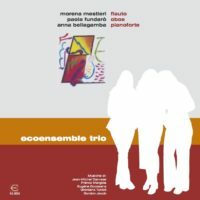 In recent years, Ecoensemble Trio has dedicated itself to enlarging its repertoire, commissioning original works and transcriptions - following the tradition of chamber ensembles that study “minor” repertoires -, and capturing the attention of contemporary composers for minority interest groups ensembles. In 2017 the Trio released a CD by Taukay, entirely composed of original works commissioned by Ecoensemble, and dedicated to the Trio itself.